The critically acclaimed VR music video Old Friend by Tyler Hurd is now available on both Wevr’s Transport and Steam. 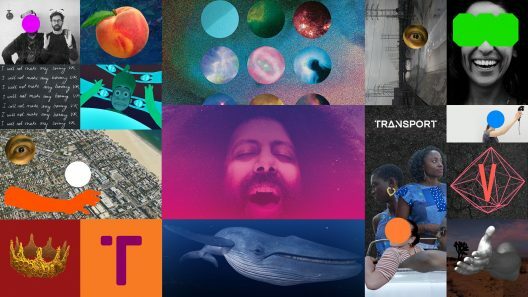 Sited as a prime example of how virtual reality is pioneering a long due reimagining the music video, the experience combines the kinetic Future Island’s song “Old Friend” with Hurd’s vividly psychedelic and interactive animation to create a joyous immersive dance party. Hurd says he began the project trying to replicate the powerful emotions triggered while experiencing a favorite piece of music. But later, after watching first hand how audiences responded to the experience, he became intrigued by the mechanics of just how it effected people. It seemed that the experience, and VR in general, might actually be activating neurological pathways in a way that previous mediums hadn’t. 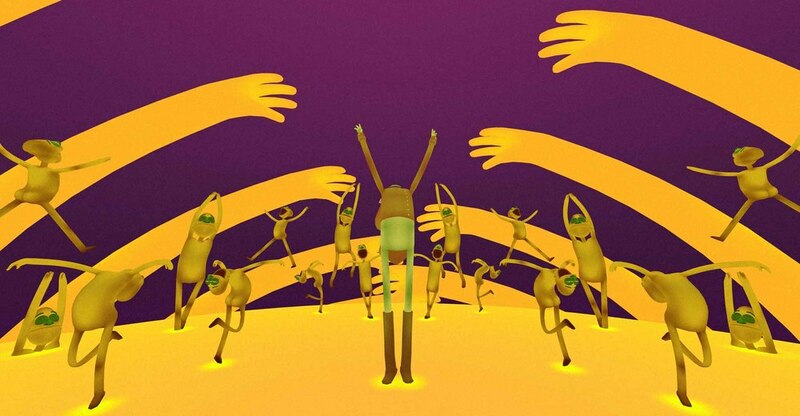 Hurd says he initially thought of Old Friend as merely a way to use his animation to create a sense of joy and inspire some ridiculous dancing. “I was excited about VR but I wasn’t aware of the full impact until I got a Vive and had my hands in the space,” he says. Yet it wasn’t until a conversation with his girlfriend, Melesande Perera, a long time Occupational Therapist who specializes in Sensory Integration, that he realized Old Friend and VR were triggering emotional responses by activating different parts of the brain. While this phenomenon is true to some extent with most room scale VR, it seemed more pronounced with Old Friend. 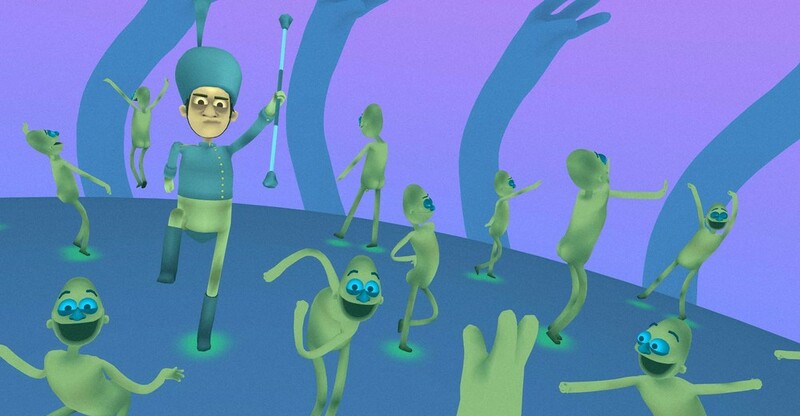 The movement of the participant in relationship to the animated dancers seemed to activate a person’s vestibular system, regulating balance and spatial orientation, and their proprioception, controlling their position, motion, and equilibrium, and then move down the chain of the brain activity.